Discover the ooey-gooey origins of plastic. Use colorful paint for endless hours of stretchy, goopy fun! Mix up a batch of colorful, mold-able slime and use it to build your own fantastic 3-D creations. 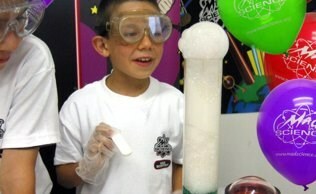 Unleash your inner scientist by creating new galaxies with spectaular polymer fun! Take part in a chemical reaction that will change ordinary glue into Mad Science Putty. Kids will never tire of playing with their stretchy, bouncy putty. Explore dehydrated plastic crystals by using a catalyst to rehydrate them into your very own bouncy ball! * Please call Mad Science if you would like to add more than one take home for an additional charge. Rocket Launch Finale: Make your party a blast! Watch as the Mad Scientist launches a model rocket 100 feet into the sky and see it return by parachute. We'll also present your child with a model rocket kit, just like the one they launch at the party, to build at home with you afterwards. * Check out our launch video! *This finale requires an open, unobstructed area. The scientist will assess your space upon arrival to determine the best launch location. The launch is not guaranteed due to unforeseen location and weather conditions; however, you child will still receive the model rocket. *Made from 100% non-woven polymer fiber, with 3 snap closures and elastic wristbands. 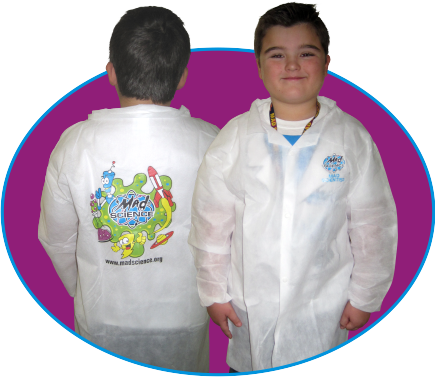 This official lab coat has a full color Mad Science logo on the front and back. One size fits most kids ages 4-12. 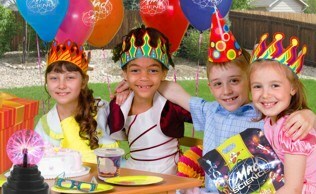 *The goody bags included with your party package are limited to guests in attendance who are between the ages of 4-12. *Custom Online Invitations are included in the Gold and Platinum party packages. A link will be sent to you with your emailed party confirmation. 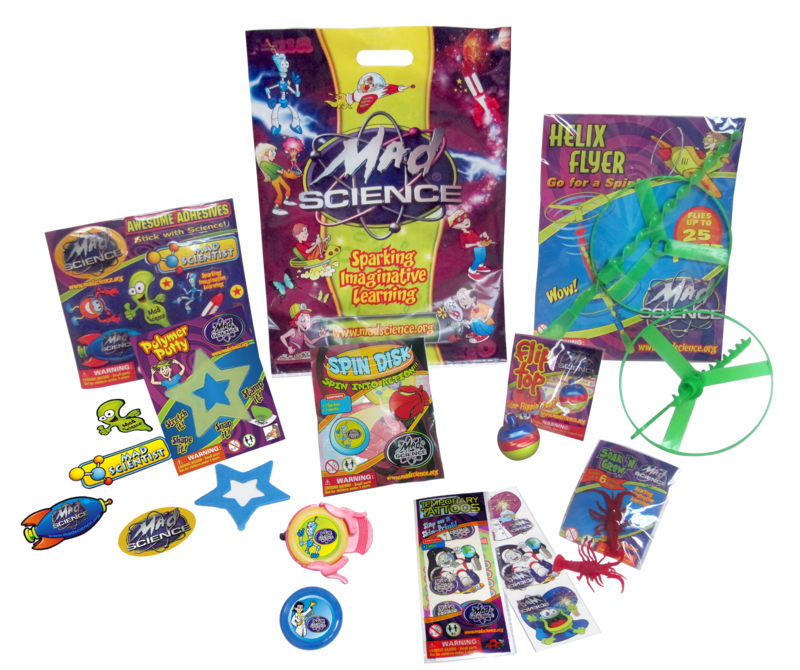 Parents will love the fact that Mad Science parties are mess and hassle free.